The way I see it, it’s likely that whichever creepypasta you personally find the most unsettling probably matches up with the creepypasta that you’d least want to be real – or at the very least, there’s probably some serious overlap, right? So this month, please tell us which creepypasta(s) have legitimately creeped you out the most – and why you think that might be the case! 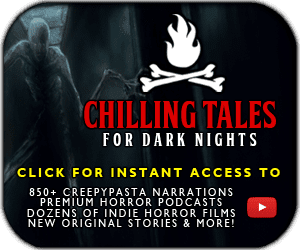 Please share links, as always, if the creepypasta in question is not one that’s hosted on this particular site. Share with the class! As always, be polite and respectful, and have fun with the topic! I look forward to reading everyone’s answers.